Want to work with us to engage young people with poetry, podcasting, and empathy? Invite us to create a custom educational collaboration for your group, school, or community. 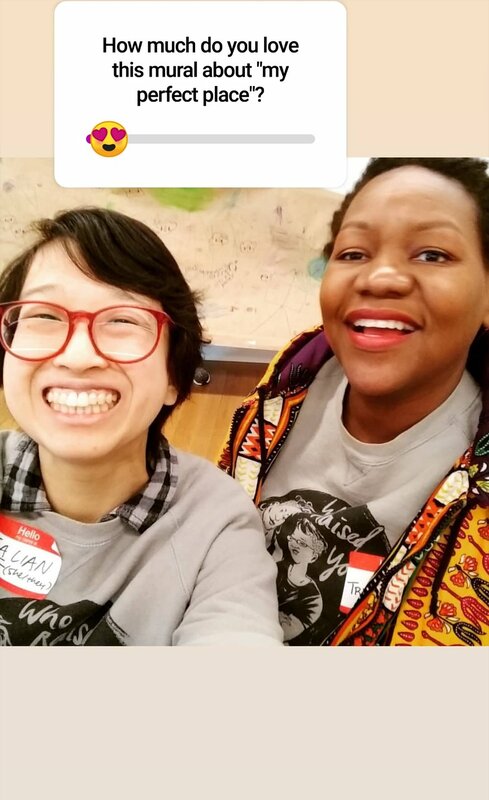 When Anna Ojascastro Guzon, founder of Your Words STL, doctor, Kundiman Fellow, and poet featured on Who Raised You? Season 1 Episode 2 approached us to do an educational collaboration, we knew we had to say yes. “Crossing Delmar” considers the famous Delmar Blvd dividing line by intentionally connecting two schools from different sides of the city. 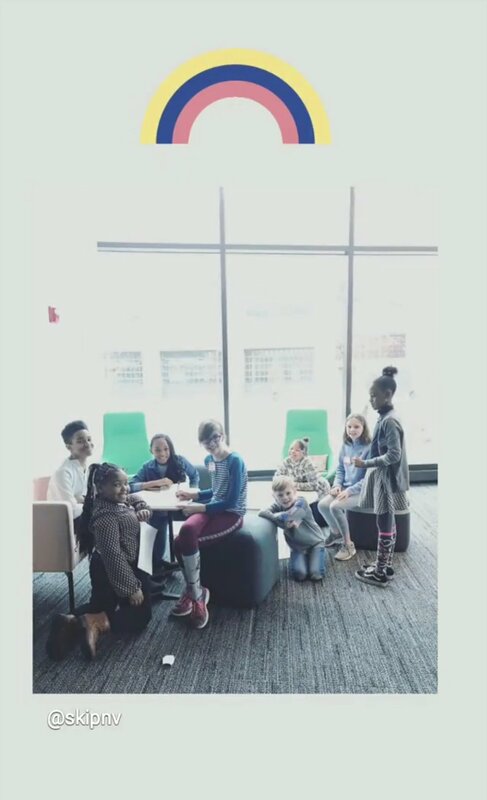 For this collaboration, we partnered with Moline Elementary School and New City School to create an experience where 80 fourth and fifth grade students connected through poetry and podcasting. 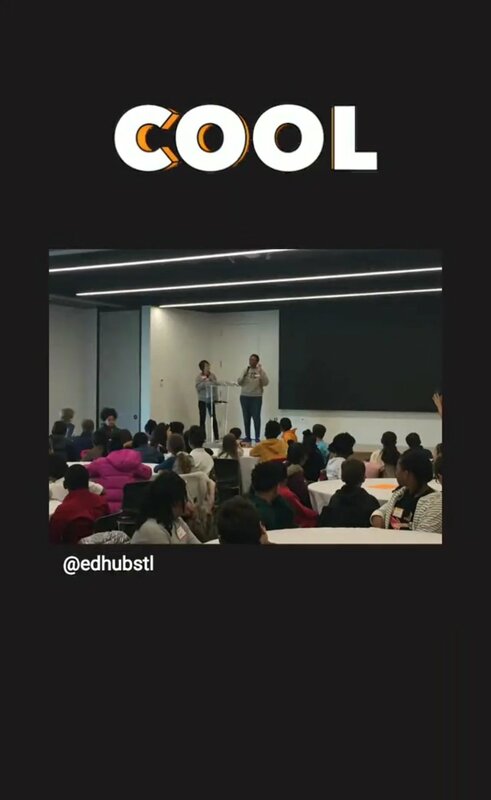 On Tuesday, March 5, 2019, these students, their dedicated teachers, and chaperones boarded buses to Innovation Hall, the headquarters of EdHub STL, a center for educators to experiment, collaborate, and innovate. Treasure and Jia Lian introduced themselves to the students, gave them a sample listen of Who Raised You? Podcast, and described the events of the day. Teachers then facilitated get-to-know-you activities in small groups in the larger assembly. Afterward, students were divided into groups of 20 to practice podcasting with Your Words STL Teachers, who recorded 20 individual podcasts where students read their original poetry and responded to each others’ poems. 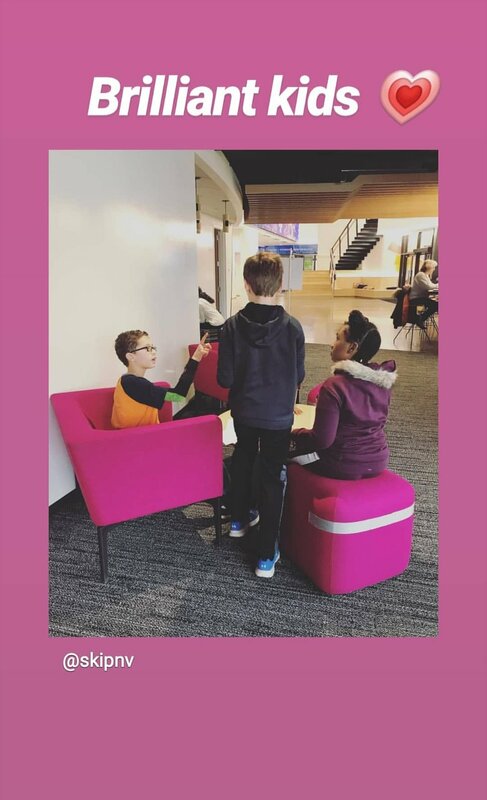 Rotating groups met Treasure and Jia Lian, who facilitated recorded conversations on poetry, reasons for writing, how to ask questions to increase understanding, empathy, and self expression. Sprinkled through out these conversations were interactive exercises where students exchanged poems and created poetry as a group. And who can forget the games of SPLAT! and dance battles? At the conclusion of the day, Treasure read her poem, “For My Daughter” as a closing invocation, a reminder and incantation for the hopeful futures of the young poets in the room. 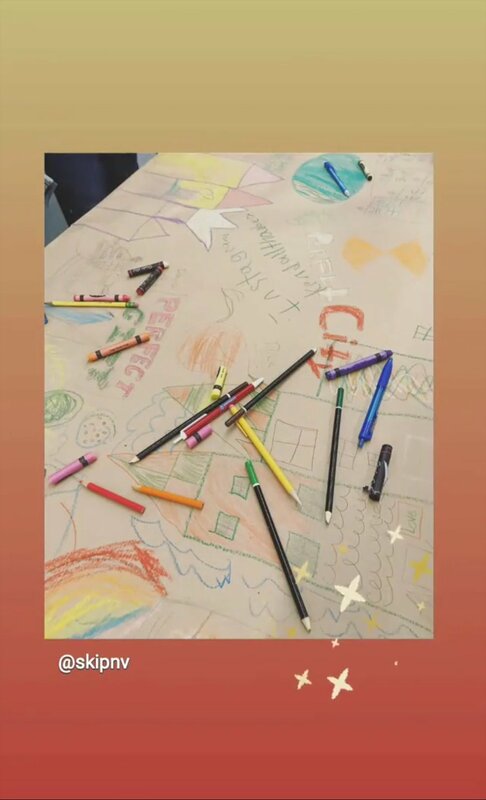 The students then surprised Treasure and Jia Lian with a “My Perfect Place” mural that they had created over the course of the day. 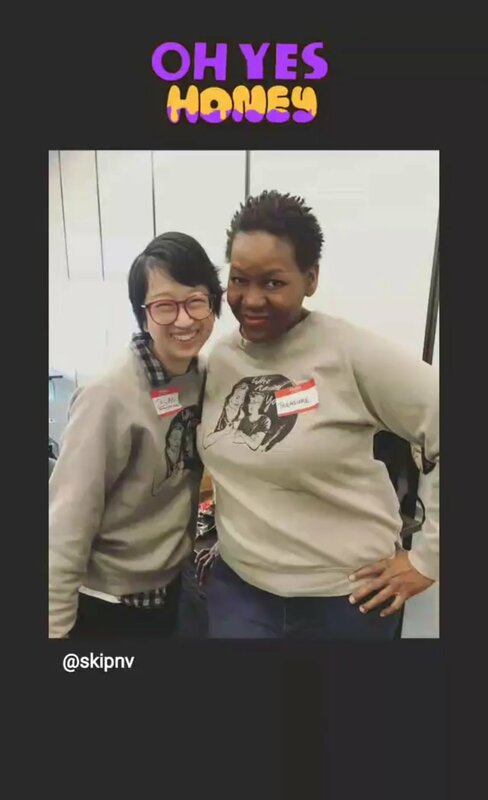 Sharing our lives and learning about friends across imaginary divides in STL can be done through technology and podcasting with some coordination and fancy footwork. 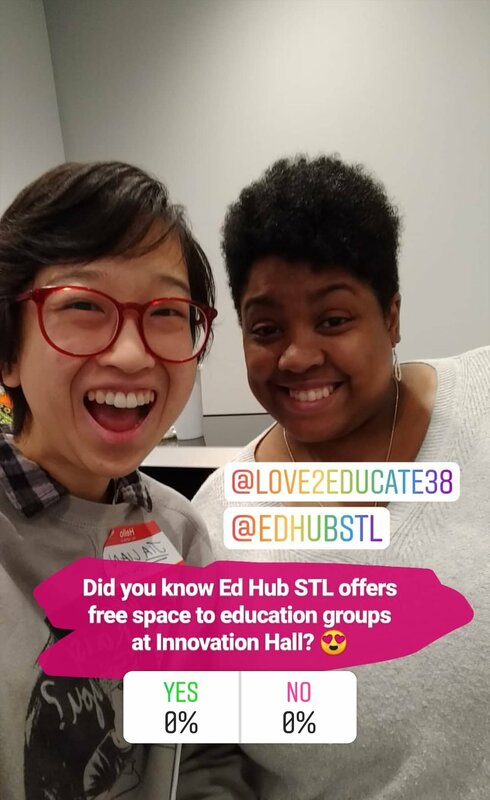 Check out what YourWords STL and Who Raised You? Podcast is doing with #crossingdelmar and #bridgedivides. A wise student in my group said that his perfect place was the world, as it is right now, because it's all we've got, and it's REAL. At least for today, I have to agree!